Whether you are comfortable with the reality of it or not, AI or Artificial Intelligence is here and here to stay. Already we have self-driving cars coming onto the market, a headset that reads our minds with 80% accuracy, and electronic billboards that use facial recognition to profile us, and show targeted advertisements. If you are not quite sure about the terminology to use when talking about these technologies, read on. You will be hearing them around the water cooler VERY soon! Machine Learning is a current application of AI based on the idea that we should really just be able to give machines access to data and let them learn for themselves. To put this into a use case for you, let’s look at Siri, Apple’s voice recognition technology. Siri is Artificial intelligence (AI). Siri’s ability to learn your accent and way of speaking to improve its accuracy is machine learning. Artificial Intelligence (AI) and Machine Learning (ML) are two hot buzzwords right now, and often seem to be used interchangeably. They’re not quite the same thing, but the perception that they are can sometimes lead to some confusion. So, let’s deep dive into the difference between artificial intelligence and machine learning. AI is the stimulation of human intelligence processes by machines, especially computer systems. AI works by combining large amounts of data with fast, iterative processing and intelligent algorithms, allowing the software to learn automatically from patterns or features in the data. Generalised AI – Systems or devices that can, in theory, handle any task. This is where some of the most exciting advancements are happening today! It is also the area that has led to the development of Machine Learning. Machine Learning is often referred to as a subset of AI. The process of learning begins with observations or data, examples such as direct experience, or instructions, in order to look for patterns in data and make better decisions. The primary aim is to allow the computers to learn automatically without human intervention or assistance and adjust actions accordingly. The processes involved in machine learning are like data mining and predictive modelling. This requires a machine to search through data to look for patterns and adjust actions appropriately. Most people are familiar with machine learning from shopping on the Internet and being offered products related to their purchase. Machine learning is a subfield of artificial intelligence. The goal is to enable computers to learn on their own. A machine learning algorithm enables it to identify patterns in observed data, build models that explain the world, and predict things without having explicit pre-programmed rules and models. Most industries working with big amounts of data have realised the advantages of machine learning technology. By collecting insights from this data – often in real time – companies can work more efficiently and/or gain an advantage over their competitors. Both terms crop up very frequently around the topic of data, analytics and the broader waves of technological change which are sweeping through our world today. Will robots and artificial intelligence (AI) replace humans? The growth of artificial intelligence has allowed the ability for machines to self learn which allows for predicted learning and can put best controls in place. The investment in AI last year increased by 300%, around 80% of executives recognise that AI boosts productivity. AI is already here and will continue to be embedded in our everyday lives. Siri and Alexa being perfect examples. AI will not replace humans, but will, in fact, help us. AI will enable us to spend more time on high-value tasks, rather than spending time on managing and analysing. The automation of transactional tasks will reduce the time spent on the process of data, on a large scale. As mentioned today at the AWS Summit Sydney – Amazon Innovation Day. The rise of technology leaves us questioning what impact robots will have on our future. 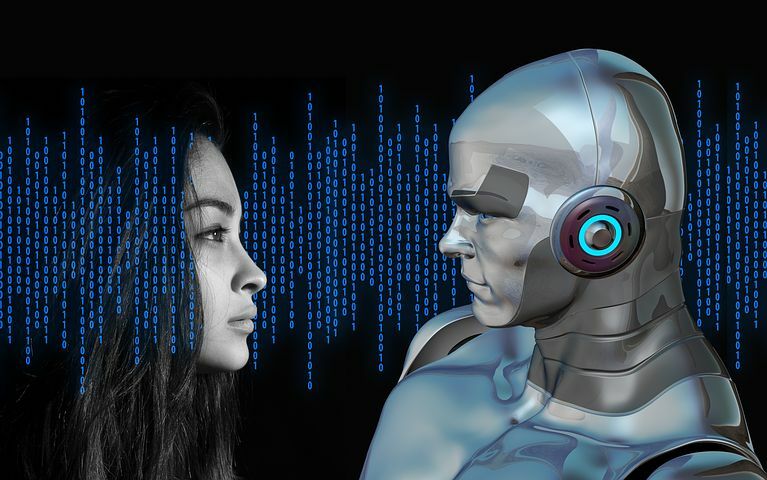 When breaking down the differences between humans and robots there are a number of distinct differences, some of which cannot be solved by technology, at this moment in time. What work are humans good at? What work are robots good at? AI – and in particular today ML certainly has a lot to offer. With its promise of automating mundane tasks as well as offering creative insight, industries in every sector from finance, healthcare and manufacturing are reaping the benefits. The fact that we will eventually develop human-like AI has often been treated as something of an inevitability by technologists. Is that a pro or con, you decide? Certainly, today we are closer than ever and we are moving towards that goal at a rapid speed. Much of the exciting progress that we have seen in recent years is thanks to the fundamental changes in how we envisage AI working, which has stemmed from ML. It’s crazy to think what 2030 will look like but extremely exciting!